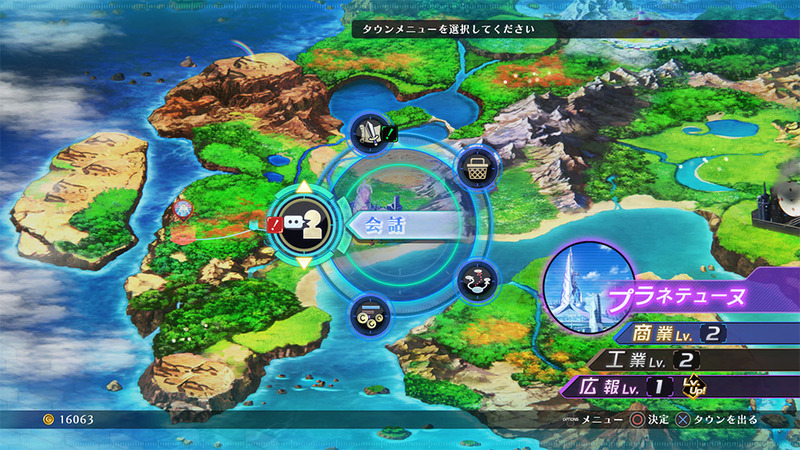 In the World map, you can move to different "Points" which are connected by "Routes" you can move along. 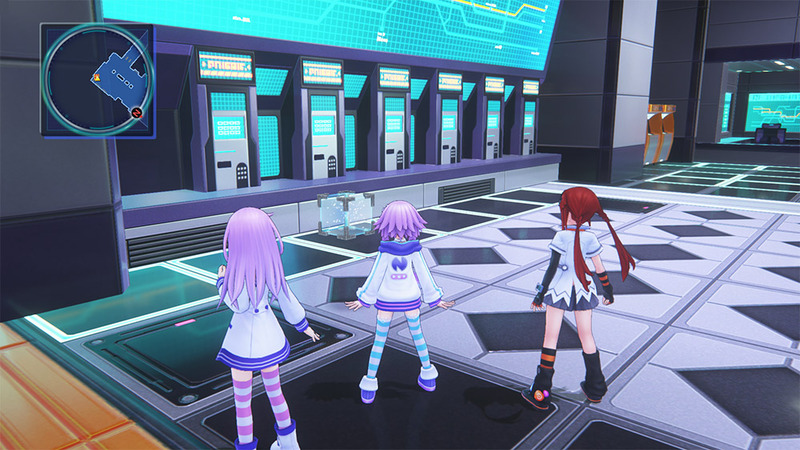 At Cities and other points, you can change your equipment, and story events may occur. At Cities and Bases, you can select from 5 different items from within the City Menu. You can talk to characters at the City or with your party members. There are times when events will occur as well. You can accept "Quests" here. You can purchase items here. You can create new Routes within the World. You can give your support in order to develop Cities further. Dungeons are dangerous areas where monsters roam. Within a dungeon, "Enemy Symbols" wander around, and by touching these "Enemy Symbols" a battle will begin. There are also times when events related to the story may occur. When there's an event within a dungeon, a [!] mark will be displayed on the mini-map and the floor map. The event will begin once you move into the vicinity of the mark. You can obtain Credits and items. Obstacles that block the way forward. Destructible Objects take various forms, and it is possible to destroy them by swinging your weapon with the x button. By destroying them, you have a small chance of obtaining items.